New to the ROSE range: High-quality cycling tights by the quality brand Q36.5. Unique, self-developed textiles and a cycling-specific fit know how to impress and inspire our customers over and over again. The perfect combination of high-tech materials and a product development with an eye for detail make these cycling tights the best of their class. Comfort, functionality, fit... here, everything’s just right. The main objective of the innovative brand is to maintain the optimal body temperature. The temperature should be at a constant level in any weather and throughout the entire ride. Q36.5 has made this objective the focus of product development. For maximum performance throughout the ride. 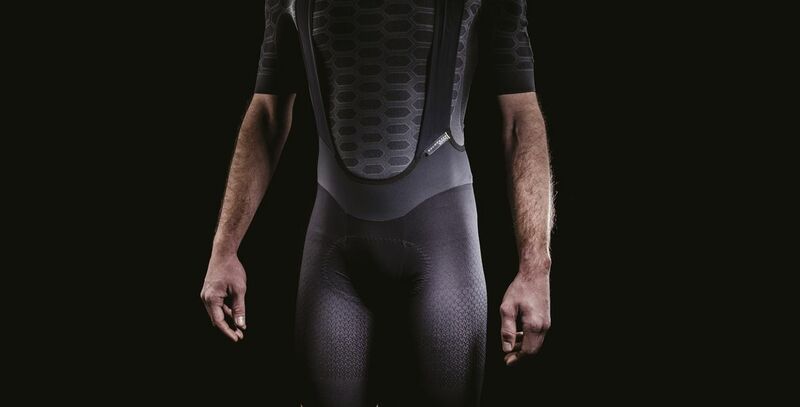 The most efficient cycling fabrics in the world are developed in close collaboration with carefully selected, first-class Italian textile partners to best support the athlete during high intensity activities. Q36.5 combines performance-enhancing materials with an ergonomic fit. All fabrics are carefully selected in accordance with their intended use and the number of seams is reduced to a minimum for high efficiency and best aerodynamics. Therefore, all models come without frontal facing seams. This results in particularly high elasticity and a completely new kind of feeling. The low weightis thanks to the special design process and the desire to build the purest product possible. The Salopette and Half Shorts feature the FUSION seat pad . The multi-layered foam offers perfect support in accordance with the respective zone. In the front part of the chamois, the foam’s elastic, approx. 3 mm thick outer fabric is cut and sewn. In the rear part of the seat pad, the approx. 10 mm thick foam is thermo-moulded in order to achieve superior density. The SUPER MOULDED Pad is a further development of the FUSION pad that is used for winter tights. In areas subject to exceptionally high stresses, the high-quality foam is up to 12mm thick. On the wings, you can find 3 mm thick perforated foam for particularly good ventilation. The fast-drying and breathable chamois pad is specifically designed for long distances. Før 2.238,13 kr. 1.674,29 kr.